"My boyfriend's special recipe makes the peanut butteriest tasting cookie I have ever tasted. 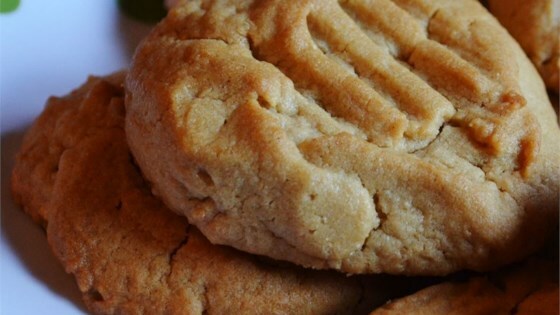 These soft and chewy peanut buttery cookies are the best!" These are just delicious. What makes them so is that there is twice as much peanut butter as butter - -most peanut butter cookies recipes call for equal amounts of both. Great recipe Joey!